When you finance a home purchase with a standard home mortgage loan, that loan will typically not cover the down payment. You therefore need to come up with this money by some other means, e.g. 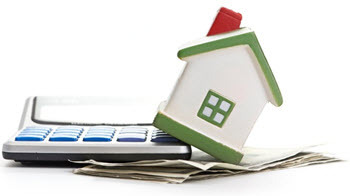 using savings or a profit from selling your previous home. If that’s not possible, a down payment loan might be the solution. Lenders that offer home mortgage loans know that many clients struggle to come up with enough money for a down payment, and are therefore likely to have some sort of solution available that will allow you to borrow money separately to finance the down payment. 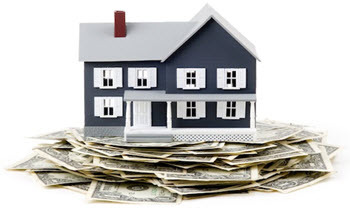 Typically, the down payment loan will not a secured loan. Therefore, you can expect to pay a higher interest rates and be forced to accept a pretty rapid down payment plan. In some cases, if the equity of the house is large enough, you might be able to use the home as collateral even for the down payment loan. Even with this collateral, you can expect the down payment loan to come with a higher interest rate than the standard mortgage loan, simply because of the higher risk to the lender. By allowing you to borrow more money, the lender is placing themselves at higher risk for the market value of your home dropping below what you owe the lender. If your home increases in market value over time, you might be able to renegotiate the interest rate on your down payment loan, since there will now be a bigger margin between the amount owed and the value of the collateral. This is especially true of you have been making substantial down payments on your debt or if the market value of your home has increased sharply. In some cases, the lender will agree to turn the standard mortgage loan and the down payment loan into one unified standard mortgage loan. If you are offered a down payment loan from the lender that provides you with your standard mortgage loan, you should always explore other options before you agree. In some situations, going with another lender for the down payment loan will be more beneficial. You are also likely to be able to negotiate a better deal if you can show that you have other options when it comes to financing the down payment. The best way to get the down payment is to save up for it before you buy a house. This can be hard to do but is often possible if you are willing to make some sacrifices to be able to do it. A great way to be able to save money for a down payment is to get a night or weekend job. This has two benefits. It will allow you to earn extra money that you can put directly into an account dedicated to be used as a down payment. Money you are not allowed to touch for anything else. The other benefit is that you do not have time to spend money. You will not pay able to go out partying during the weekend if you have to work. This will save money every month that you also can save for the down payment. It can be very boring to be forced to work when your friends go out partying. But it will bring fast results and it will put you in a lot better position a few years down the line when you have your own house and less debt. Any extra work will help you save money. Do not be picky. If you are willing to take some risk you can invest the money you earn into the stock market to earn a return on the money you saved for the down payment. If you chose to do this then I recommend that you invest in low risk blue chip stock. Do not get tempted to invest in penny stock, binary options or to start day trading. If you do you are likely to lose money. In the United States, certain federal, state and local down payment grant programs are available to help home buyers who need to come up with money for a down payment. A grant is a gift and not a loan; it doesn’t have to be repaid as long as you fulfil the requirements of the grant. Some programs can provide you with the whole sum needed for the down payment, while others only provide a certain part of it, e.g. 50%. The rules of eligibility vary between the different programs. Some are only available to low income groups, while others reach moderate income groups as well. Many programs only help first-time home buyers. There is often a cap for how expensive the home can be, especially in relation to other homes in the region. One example of a down payment grant program is the American Dream Down Payment Initiative, which is funded by the federal government. If you are struggling to find a lender willing to lend you money (for a down payment) with reasonable terms and conditions, the Federal Housing Administration (FHA) might be able to help, especially if you are a first-time home buyer. Normally, the FHA doesn’t lend money directly. Instead, it runs programs where it provides loan insurance. You apply for a lone from one of the many FHA-approved lenders. The FHA assumes all or part of the risk of you not paying back the loan. This makes the lender more willing to lend you money, and to do it at a reasonable interest rate level. The FDA will normally not provide insurance for a down payment loan that covers 100% of your down payment. Instead, they will ask you to come up with at least 3.5% of the purchase price on your own. Then, you can borrow the rest of the money required for the down payment. Important: Depending on circumstances, you may also be eligible for an FDA-insured closing cost loan of up to 6% of the purchase price. For more information, contact the U.S. Department of Housing and Urban Development.